Go fish at Sacramento’s Sunh Fish | AYAH! To understand this latest entry, you have to understand Sacramento’s geography. See where we are? 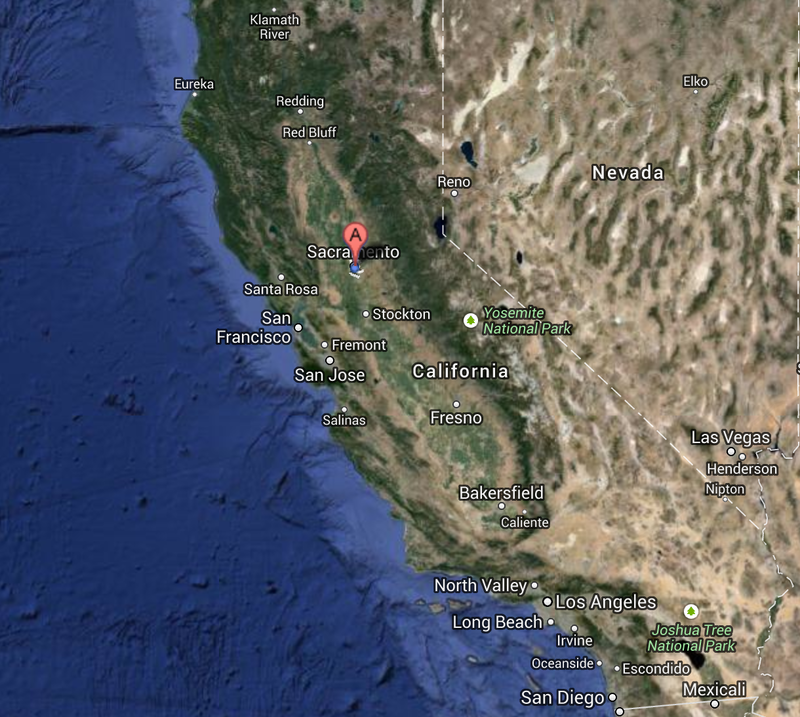 Right in the middle of the huge land mass that is California. I love Sacramento. It’s a great city. It has almost anything you would ever need or want. And if it doesn’t, it’s not too far away. Take our waterways: we have 2 rivers — the Sacramento river and the American River. We also have the Delta to the west-side of the valley. Lake Tahoe isn’t too far and neither is the San Francisco Bay. What we do have to travel to see is the ocean. And the nearest ones are a lot of times not even warm. You have to go further south to find the deep ocean, the kind that produces the best-tasting seafood. So, how does Sunh Fish Company, Sacramento’s biggest little independent-run seafood distributor, operate nowhere near the ocean? They go fishing — but not in the traditional sense. In fact, the work of sourcing Sacramento’s go-to source for quality seafood doesn’t involve a boat, a fishing pole or a net of any kind. It’s based on relationships. Let me explain. Sunh Fish’s customer base is comprised of local restaurants buying wholesale, and individuals who simply enjoy quality seafood. Anyone can walk in and buy up a pound of Chilean Sea Bass, fresh mussels, clams, shrimp, scallops and much more. I happen to love seafood. It’s the only meat I eat as a pescatarian. So, I’m always shopping at Sunh Fish. It’s comforting to find a trustworthy distributor that offers fresh ingredients, time and again. When you walk into their warehouse. It’s like stepping into a giant refrigerator. 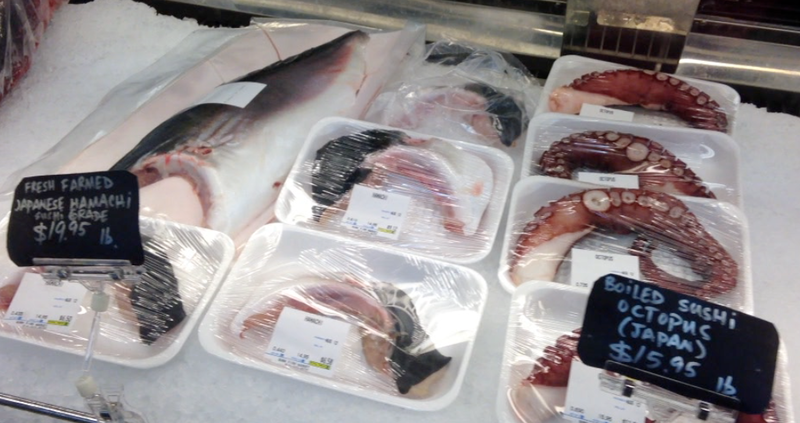 Everything is neatly stacked, either in the frozen seafood section, or in the fresh selection. It’s almost as if the business is trying to grow into all this room. Sunh Fish didn’t start in this warehouse on V and 21st Streets. 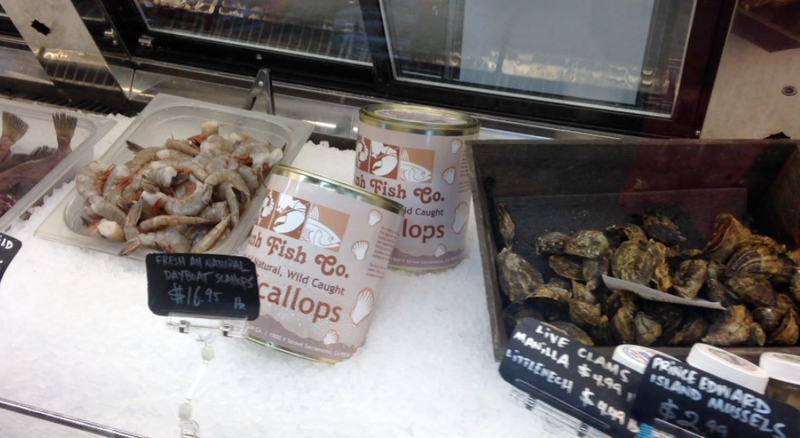 It started as a small seafood section in a grocery store just a few blocks away. But demand soon became too much for the little grocery store section to handle. Now, Pham caters to unusual seafood requests. One of his most recent ones — cod sperm sacks. Pham has learned not to question, but to seek. I’m sure there’s some kind of Confucius wisdom in that statement. Pham is also pondering how to take his business to the next level. And that involves the community. 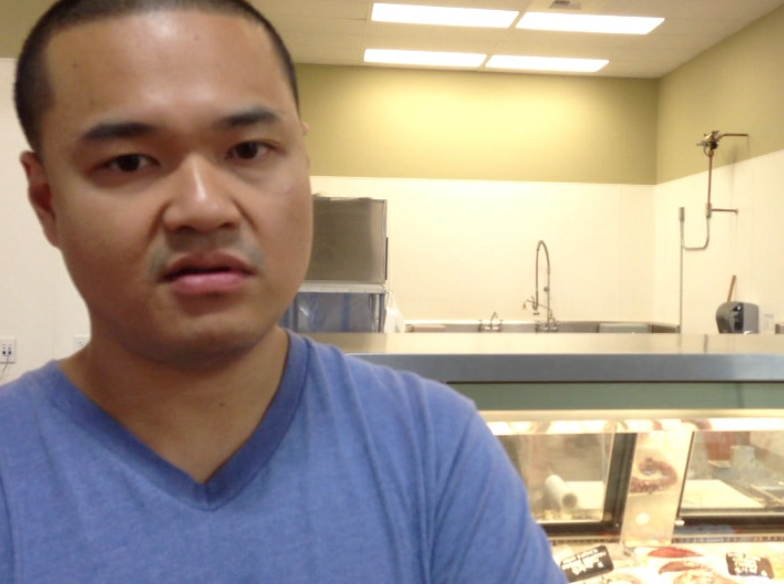 Pham is hoping to take Sunh Fish to the chef’s stage with collaborations and pop-ups. “I actually like getting out there, getting to meet people and knowing people — part of the business,” says Pham. “That’s a really big part of the reward of doing this, is actually the people you meet along the way.” I told you this business was about relationships. 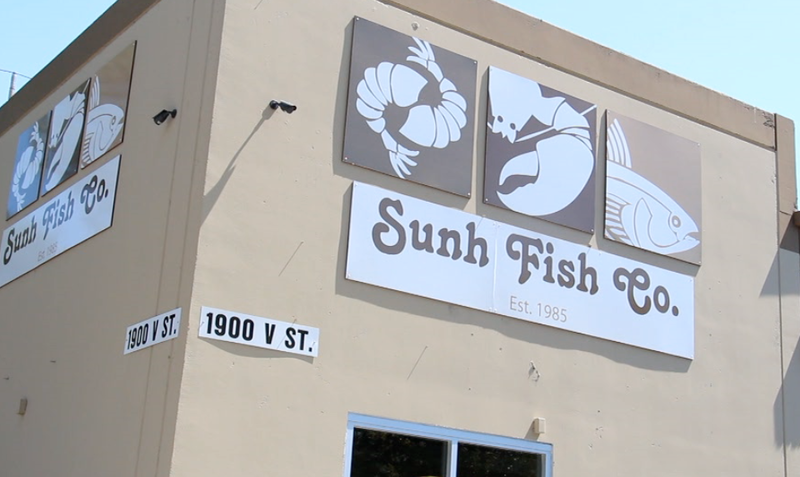 Almost 30 years since it started, Sunh Fish has grown into a major food force and source in Sacramento. It’s recognized by the big restaurant players and foodies alike. Sunh Fish continues to grow with no advertisements. It’s reputation has grown by word of mouth alone. 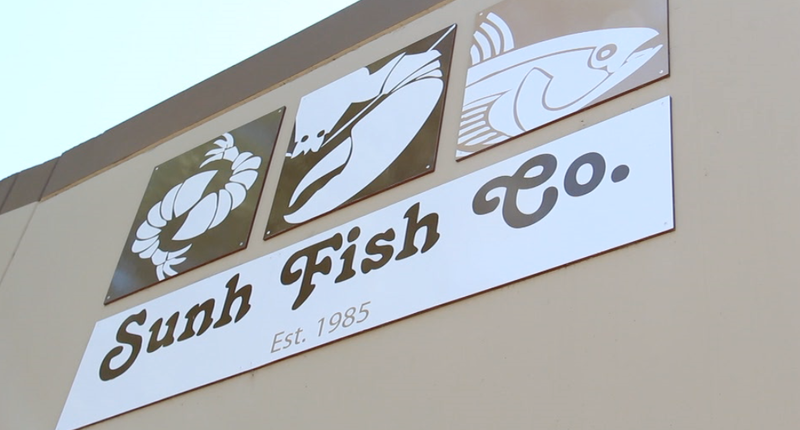 In fact, Pham hopes Sunh Fish Company stays a Sacramento secret. Let’s see if we can change that.